We are stewards of the earth, humble caretakers of nature's precious gifts. You deserve the best quality health and nutrition products. We provide them to you and your loved ones. You can nourish your body at the cellular level. We believe people don't feel as happy as they could because of what happens "on the inside" at the cellular level. E3Live is designed to increase happiness at the cellular level! You reduce problems if you improve the quality of food you consume. We believe the quality of food affects moods, emotions, concentration, physical appearance, endurance, strength, and spiritual receptivity. 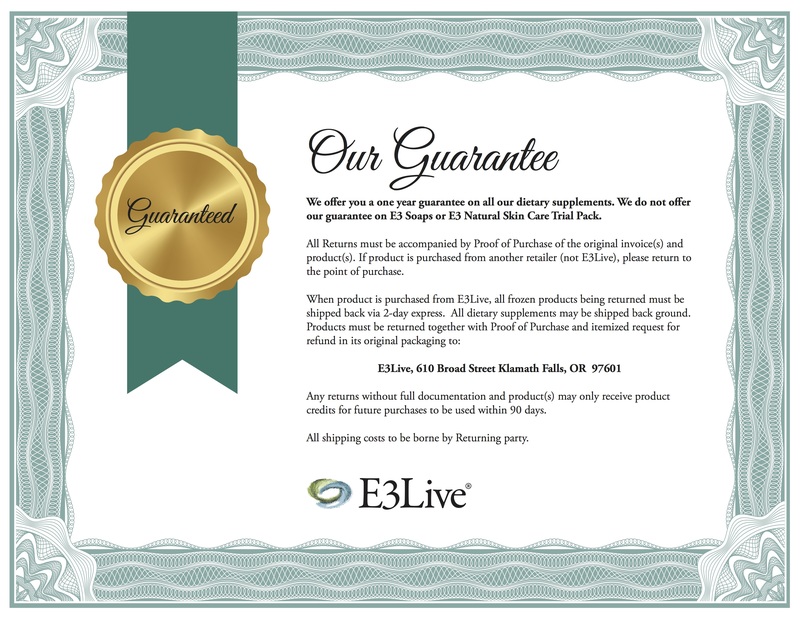 Our mission is to educate and share the benefits of E3Live. We believe E3Live nourishes and detoxifies the body more than any other food. We wish you and your family much health and happiness.